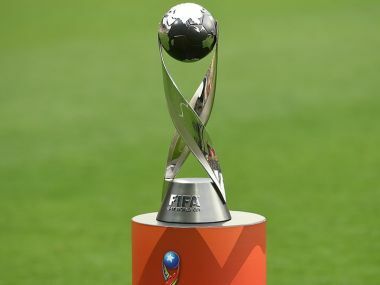 Earlier this year, at the FIFA U-20 World Cup in Korea Republic, the England team finally ended their jinx at major tournaments by winning their maiden title at this level. Their run to the title was nearly perfect. 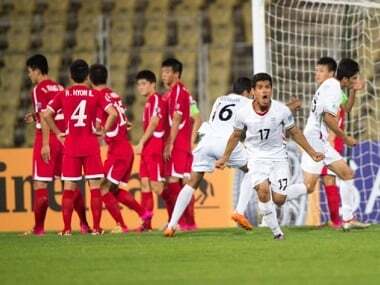 A 3-0 rout of Argentina and a 1-0 win over hosts Korea in the group stages. A narrow 2-1 win against Costa Rica and a 1-0 victory over Mexico in the last-16 and quarter-final stage respectively followed. Italy, their semi-final rivals, were then beaten 3-1. Venezuela and the weight of history also could not stand in their way as they won the title with a 1-0 win in the final. 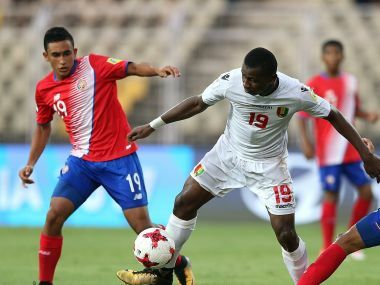 The only blemish came in the form of a draw in the second group stage match against Guinea, who were making their first appearance at the tournament in 38 years. Not surprisingly, the African outfit was eliminated in the group stage itself with just one point from the draw against England to show for their efforts. But the simple fact that they had held their own against the eventual champions England should be enough to inspire their U-17 World Cup team, which in October this year will participate in their fifth World Cup in the age group. Notably, they were a part of the first ever tournament for the age group in 1985 (when it was a U-16 tournament), where they went on to finish fourth against all expectations. While their next three challenges in the tournament fizzled out in the group stages each year, this time around too, they would hope to belie expectations and go all the way. Unfortunately for them, they are drawn into a tough group containing European heavyweights Germany, North America’s Costa Rica and Iran, who finished second in the AFC U-16 Championship to make the cut for the World Cup. Their coach Souleymane Camara admits that making it out of the group in itself will be an achievement for his boys. “It’s a difficult group. The Iranians played Japan three times and came away with a win and two draws. I’m expecting them to be very strong. I’ve spoken with the coach of Costa Rica, who I think will be one of the best teams at the U-17 World Cup, along with Brazil. And as for Germany, they don’t need any introduction. “We have to reach the second round. It’s too early to talk about winning the competition. It won’t be easy because we’ve got players who are still developing. They’re going to be coming up against professional players who’ve already picked up valuable experience at reserve-team level with clubs. Despite that gap, we’ll be giving everything we’ve got to go as far as we can, though it won’t be easy,” Camara told fifa.com after the U-17 World Cup draw in July. The Guinea team will take heart after navigating their way to a World Cup spot successfully from the 2017 CAF U-17 Africa Cup of Nations, which has some of the most robust teams in the world competing for just four spots. The Guineans were made to earn their spot, being challenged thoroughly at each step. Their challenge almost came to an end when they found themselves trailing — twice — against Morocco in the second round of qualifying in each leg of the two-legged tie. They eventually won via the penalty shootout. They then began their tilt at the continental finals in Gabon with a 5-1 victory over the host nation. A 1-1 draw with Cameroon and a goalless draw with Ghana secured them a place in the last four, and trip to India. Beaten 2-0 on penalties by Mali after another goalless draw in the semis, Guinea ended the tournament in third place with a 3-1 win over Niger. They may have proved their worth by finishing third in Africa, but their real test will arrive when the U-17 World Cup begins on 6 October.